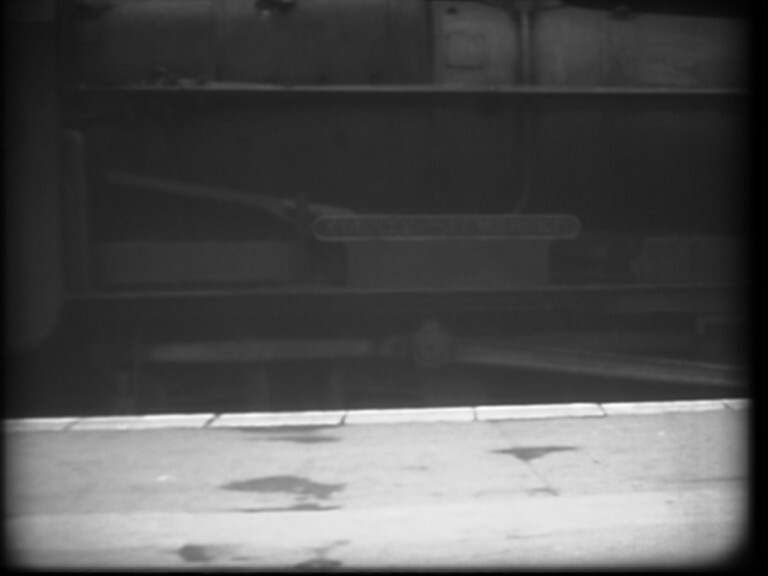 Recognising Engine Numbers from Cine Film. When I started collecting engine numbers in late 1962 to put in my Ian Allan ABC Combined Volume, I realised that a vast amount of cine film and still photos had been taken in the previous years by my late father and me; so I took the numbers off the various films when I was present. Certain cine film clips my dad played over and over again to try and get the numbers - but with no success. As I started using my computer for image processing in the late 1990s most of these numbers that couldn't be read in the 1960s gave themselves up to the 1990s technology. 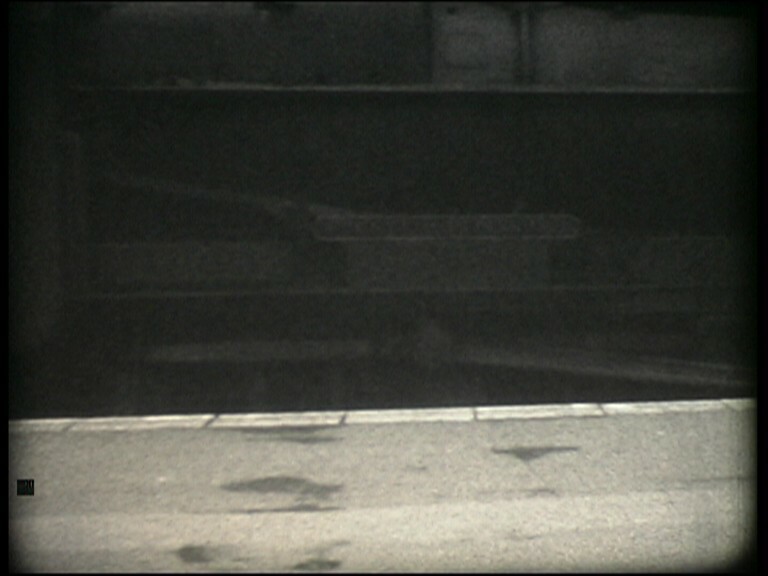 However, there was one particular sequence of a County at Exeter St. Davids in Autumn 1962 where no matter what I did, I couldn't get the name or number. There is a fault on the original film in that it jitters a lot, also I seem to recall it was extremely fast film for 1962 - 400ASA - and as a result is very grainy, add to this that the original sequence isn't that special anyway plus the compression needed to get it on the Internet - so the end result isn't that good. To see this rather poor bit of film click here. I have always been something of an amateur astronomer and became aware in the mid 2000s of an astronomical programme that stacked and aligned movie frames to substantially improve the signal to noise ratio - the resulting pictures of Jupiter from telescopes in amateur's backyards were comparable with those produced 'normally' with the largest telescopes in the world. As the programme can be downloaded for free I decided to give it a go and see if it would improve on my unidentified County at Exeter. The programme is called Registax and if you click here you can download it yourself. I now use the V5.1 update (28 April 2010). My understanding is that it improves the S/N ratio by square root of the number of images you can stack - if you stack 4 the noise will be halved, if you stack 100 the noise will reduced to 10% of that originally. The sequence on the County nameplate when the train is stationary in Exeter station is made of 65 individual frames. PHOTO 1 - REPRESENTATIVE OF THE BEST INDIVIDUAL FRAMES - VIRGIN CONDITION. PHOTO 2 - CLOSE UP OF THE NAMEPLATE FROM PHOTO 1 - IMPROVED USING PHOTOSHOP. Note - very noisy and unable to read any of the lettering on the plate. PHOTO 3 - ALL 65 FRAMES ALIGNED & STACKED USING REGISTAX. PHOTO 4 - CLOSE UP OF THE NAMEPLATE - ALL 65 FRAMES ALIGNED & STACKED USING REGISTAX PLUS IMPROVED USING PHOTOSHOP. So after nearly 50 years the unidentified County has finally given up her secret - it's County of Pembroke. The improvement in S/N ratio compared with Photo 3 is amazing and shows just what a powerful tool the Registax programme is. The only sad news is that although I never got to see all the 30 members of the County class, I had seen County of Pembroke elsewhere and it was already underlined in my Ian Allan Combined Volume!